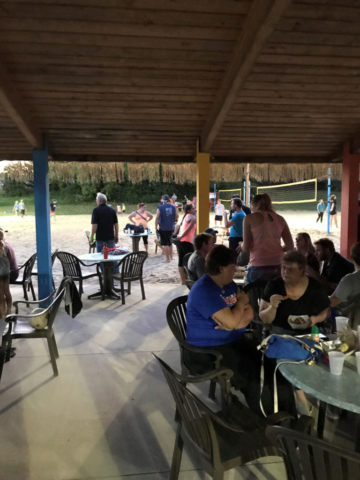 2019 SUMMER VOLLEYBALL LEAGUE TEAMS NOW FORMING! 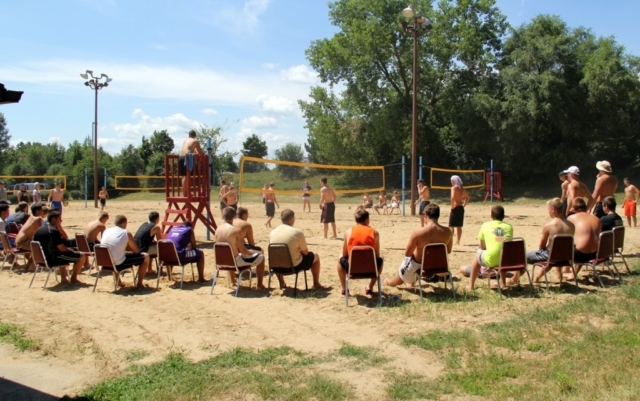 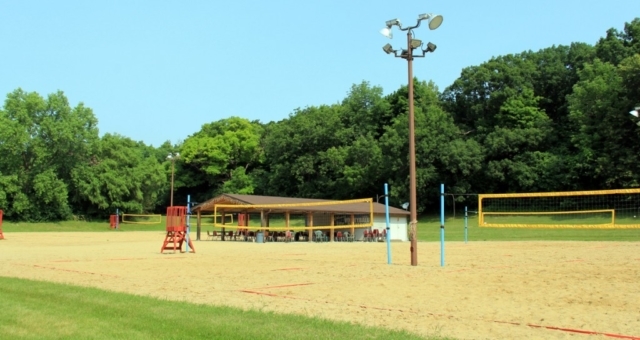 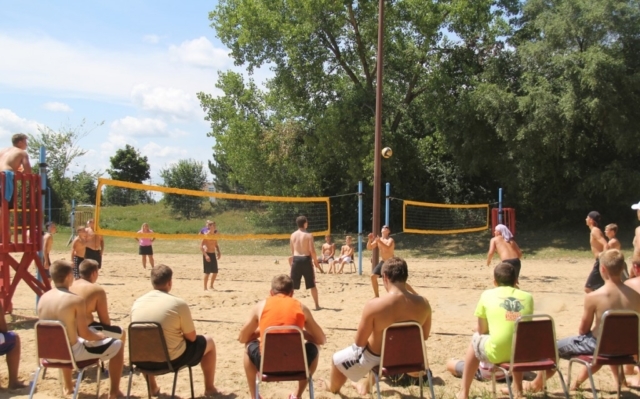 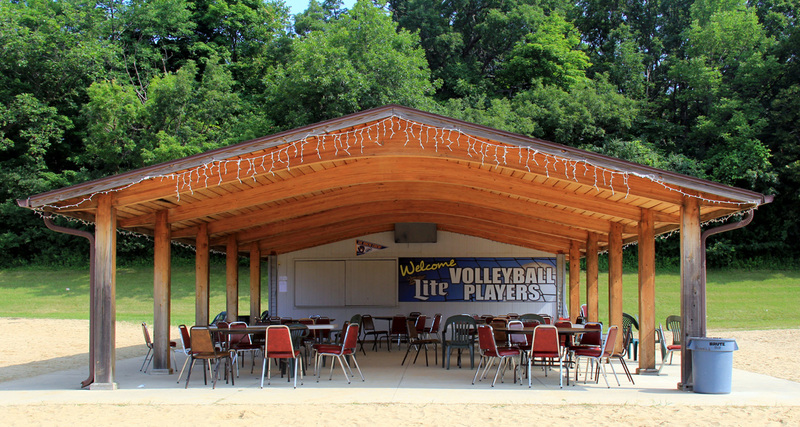 There is no better place to play volleyball than in a volleyball league at Root River Center in Franklin, WI! 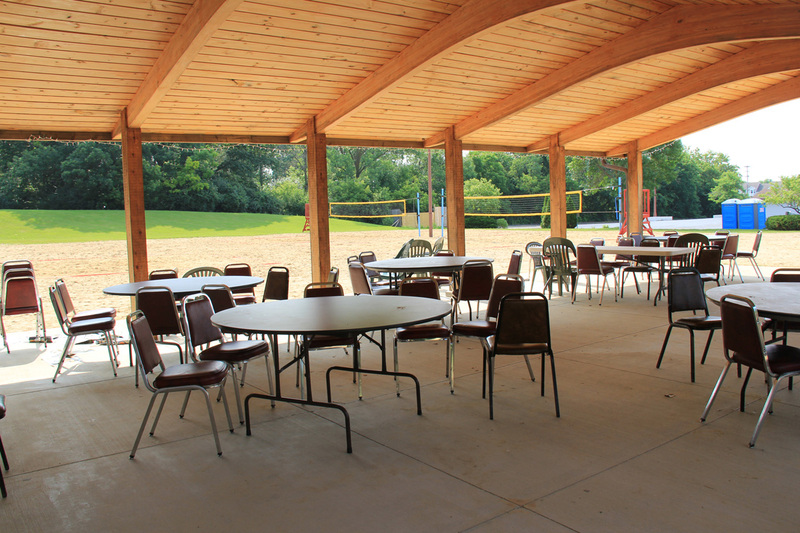 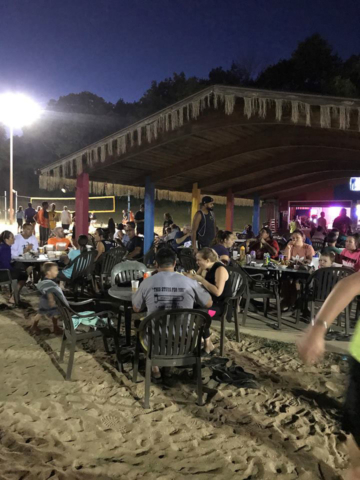 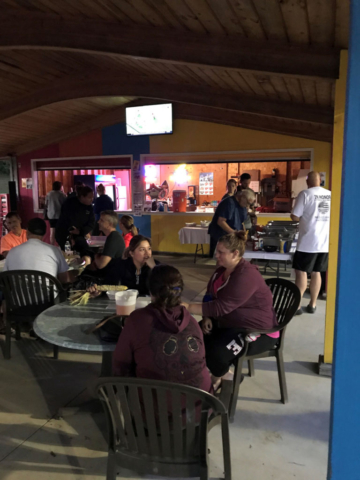 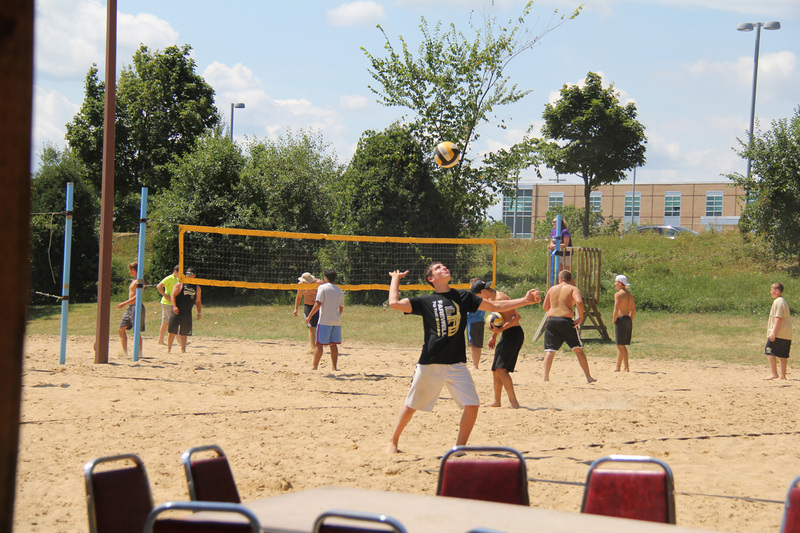 Our party pavilion overlooks eight fully groomed sand courts, features an outdoor patio and bar with a large screen TV. 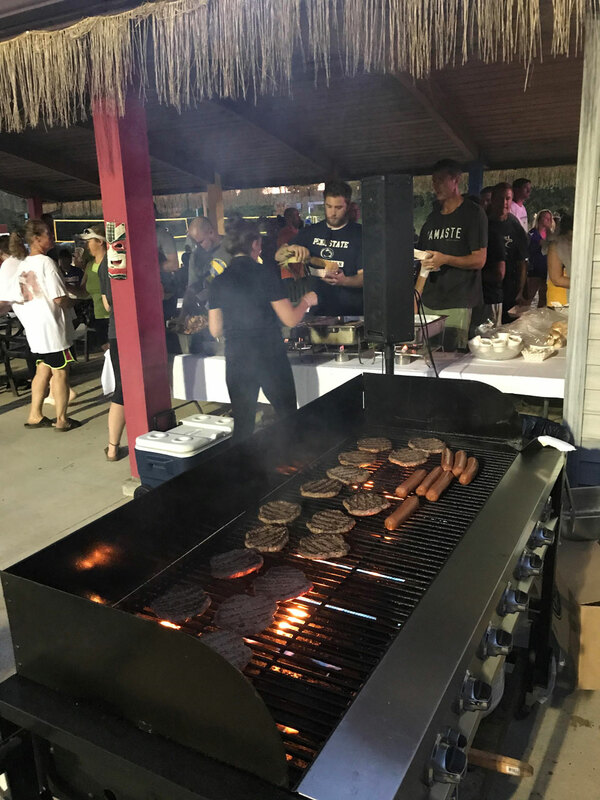 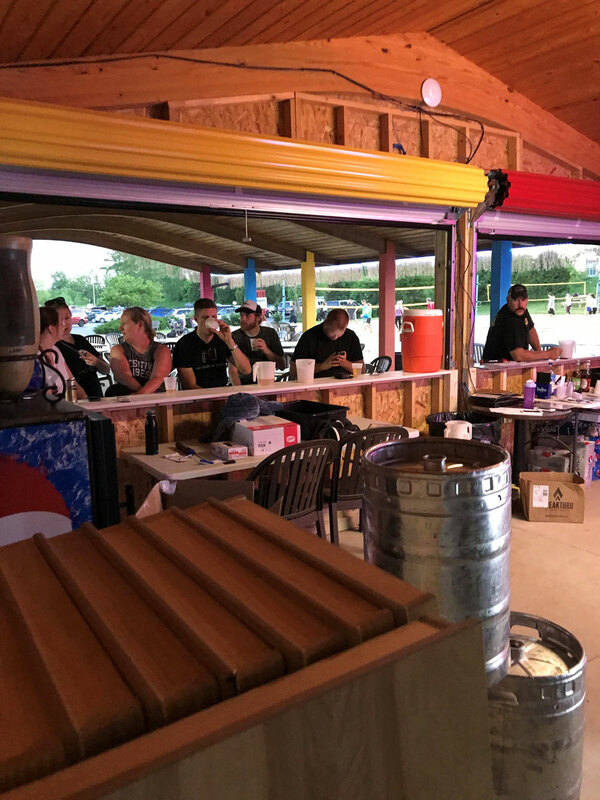 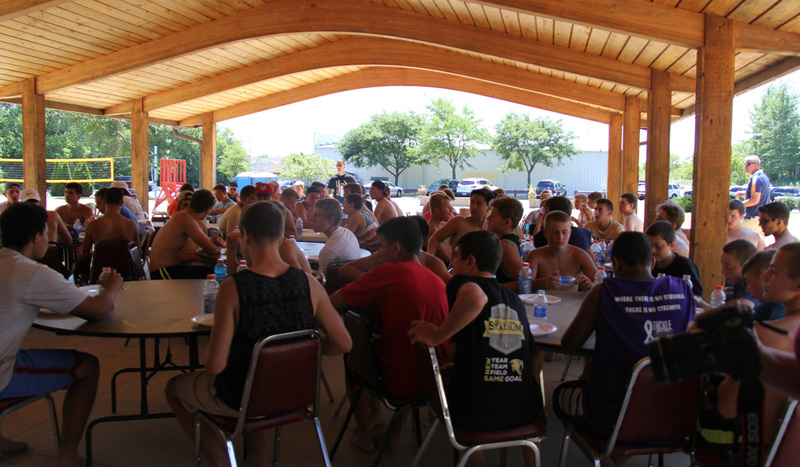 Come out before you play or stay out after and enjoy an ice cold beverage and a snack from the grill! 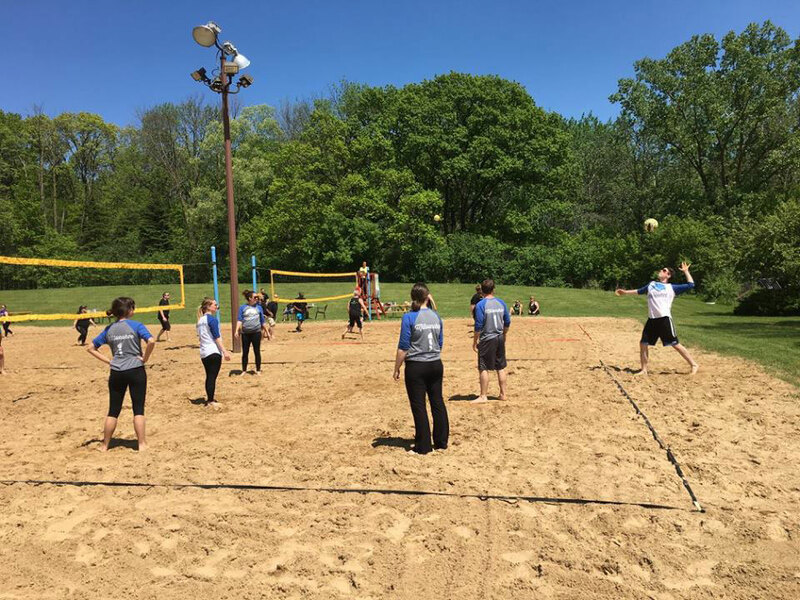 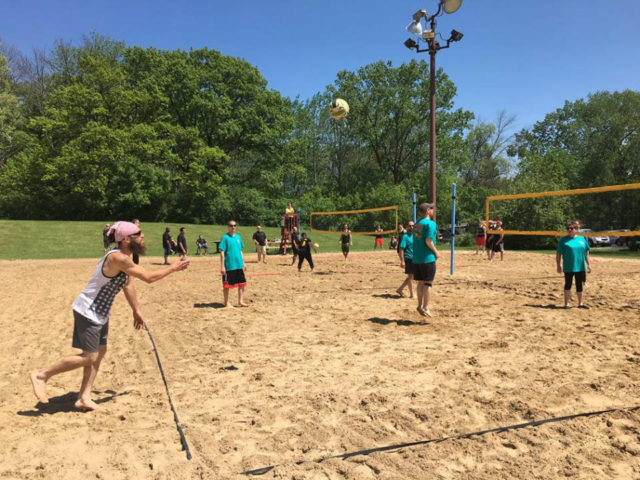 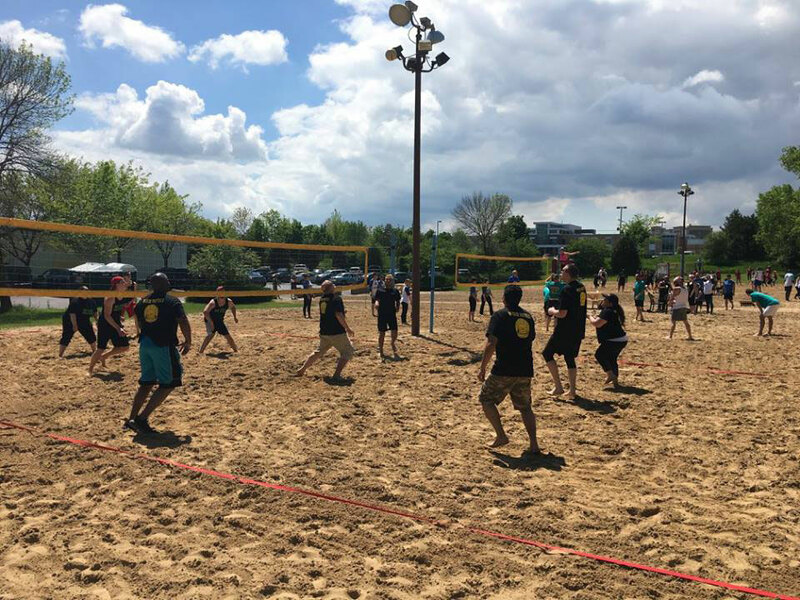 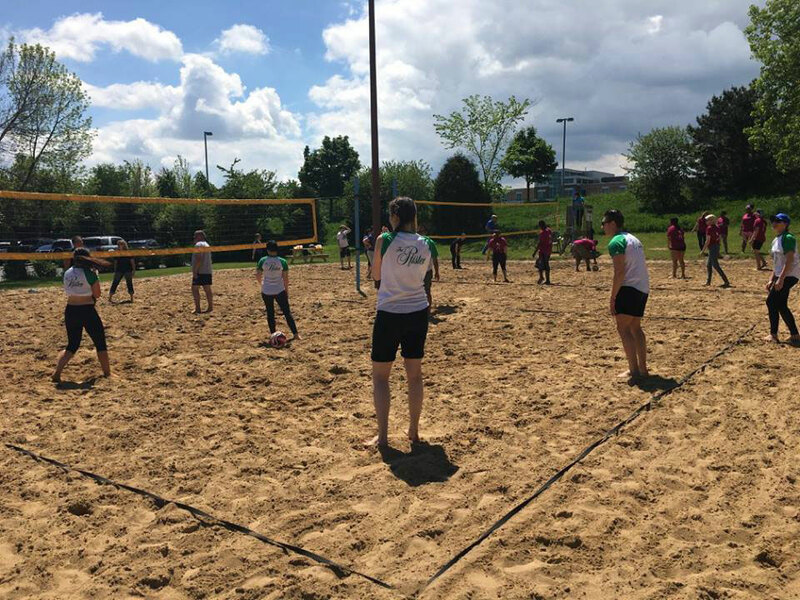 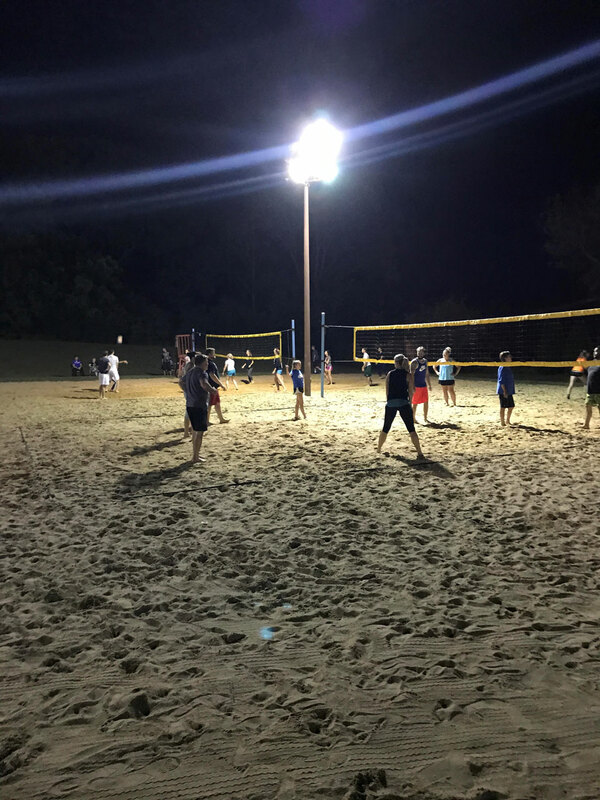 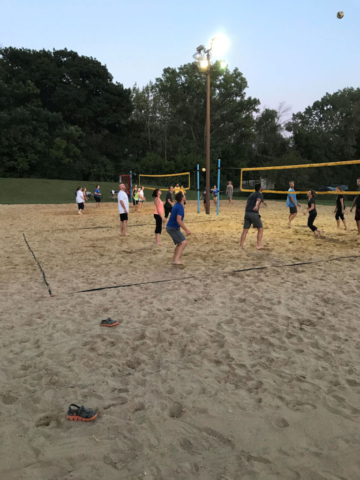 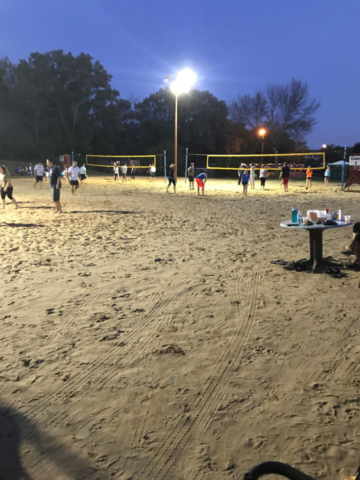 2019 SUMMER: 16 Week Summer Volleyball League – Starting Sunday, May 5th, 2019. 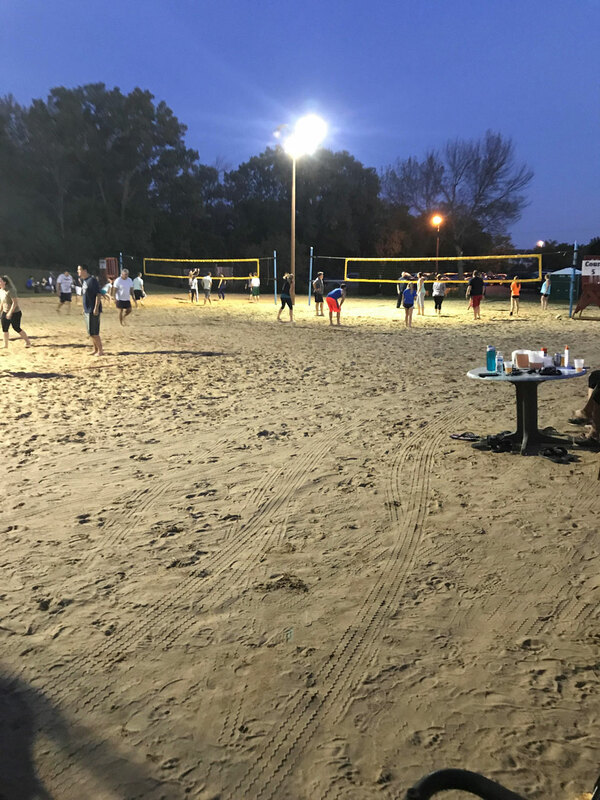 2019 SUMMER COSTS ARE NOW ONLY $125 PER TEAM. The new sports bar in our facility is the perfect spot to socialize and cheer your team on. 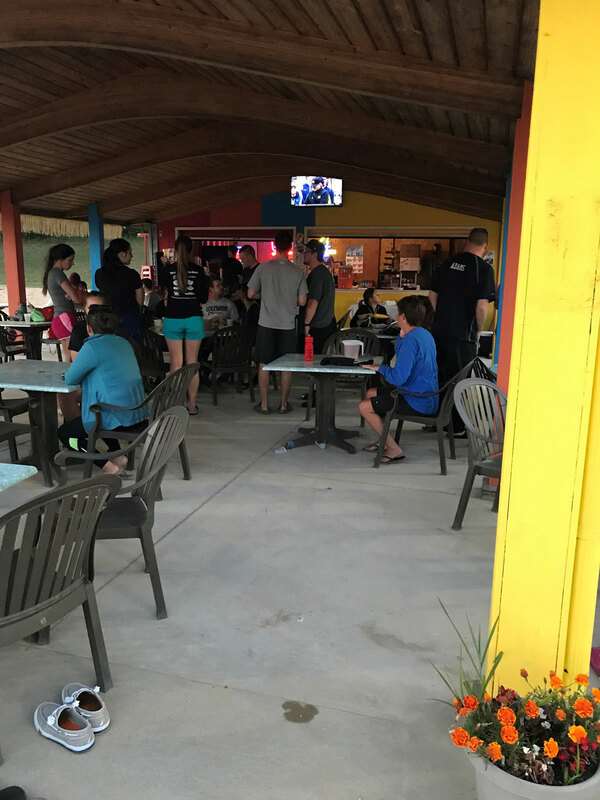 The whole family is welcome to come in for lunch or dinner.